A true Van Gogh bag! 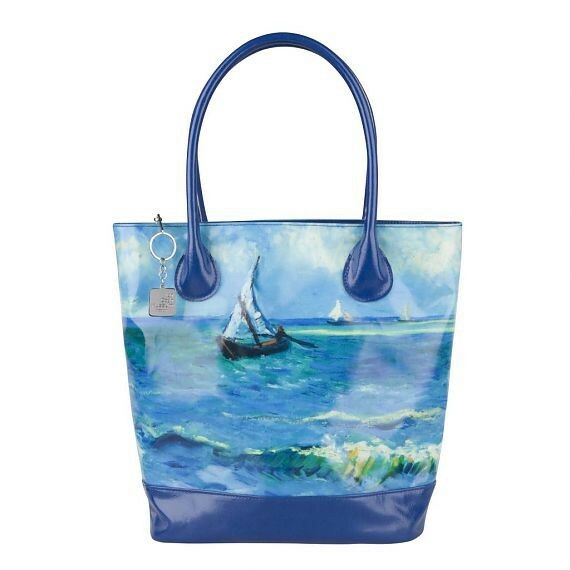 This shoulderbag is fashionable and exciting: printed with a fragment of the masterpiece "Seascape". These bags are made of sturdy canvas with a plastic coating and zipper closure. The generous interior is padded and has a zipper compartment and a pocket for your cell phone. Practical, yet beautifully colored and styled. 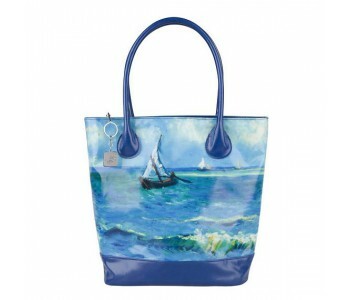 Fashionable is how you could describe this colorful styled Van Gogh bag. What distinguishes this bag is its print: the most characteristic excerpt from the famous painting Seascape by Vincent van Gogh. These bags are made of sturdy canvas. The bag can be closed with a zipper, is padded, has an inside zipper compartment, and a pocket for mobile phones. Because of its generous size (35 x 40 x 12 cm), it offers plenty of room to carry everything you need when you are on the go. Elegant yet practical.